Q. Name atleast 4 announcements made by Google in the last 1 month. Now that’s an easy question isn’t it. Considering the fact that almost every week there is atleast one major announcement by the web giant. Starting of with Android, Google Bidding for the 700 Mhz spectrum, The grand wedding of Larry Page and now Knol. Knol is google’s term for a unit of knowledge and through this initiative it aims to provide people with a way to share their knowledge. Ever since google made it’s announcement a couple of days back, the web has been abuzz with speculation that knol is google’s answer to wikipedia and how google would be able to create a monopoly if it were to start producing content as well. Till now google has done a great job at making the web searchable, a fact acknowledged by Udi Manber, Google’s Vice President of Engineering. The web contains an enormous amount of information, and Google has helped to make that information more easily accessible by providing pretty good search facilities. But not everything is written nor is everything well organized to make it easily discoverable. A close look at Manbers post gives an insight as to what knol is really about. It doesn’t seem to be google’s answer to wikipedia nor would google want to monopolize the internet with it’s own content, that doesn’t gel well with their philosophy which if one recalls is a very nobel statement “do no evil“. Knol would at best be an alternative to wikipedia and the difference would lie in the quality of the content and the fact that name of the author would be published as well, something which does not happen in wiki. Google feels that by getting people who super-specialize in a particular field to write about aspects known to them would create a much more credible source of information as compared to wiki which at times has been guilty of publishing incorrect information. This example is evident from the knol screenshot released by google, which probably features Udi’s wife Rachel (see here). Udi clearly states in his post that “We do not want to build a walled garden of content; we want to disseminate it as widely as possible. Google will not ask for any exclusivity on any of this content and will make that content available to any other search engine“. So one can rest assure that Google has no intent of creating any sort of monopoly on the internet. Wikipedia is today as big a brand as google and is managed completely by the users of the internet which by itself is a great feat. Wiki can frankly have no competition because it owned collectively by the internet community and not by any single organization(the wikimedia foundation does own it, but wikimedia is a non profit charitable organization and cannot be compared to any corporate giant). Perhaps the best proof of this fact is that the wiki entry for knol is the best source to read about all the hoopla created around this new term. Once again brillant thoughts Syven, especially the last line. I think Google should now focus their energies on the next killer app. There hasn’t been anything great from the GOOG stable after Gmail and Gtalk. Charles Hudson was talking about KNOL a few days ago. My visceral reaction to content is that we are overloaded with it, so producing a way to bring more content into play (whether it is peer reviewed or authenticated in some way) does not make my world go on fire, but if I can self-determine ways of taking content as a totality – end-to-end and online & offline – then I can not only discover faster means of processing information but I may find ways of focusing on nutritional value or in other words – applying content for practical and personal use. Ultimately out of this exercise I want to become a better thinker and a doer rather than become a repeater or even that entity called a thought leader. Talking about KNOL is like talking about the Kindle – it is a great party conversation but then what is TWITTER but a mechanism for having these small talk ambient chit-chats, so with Twitter tweeting away for the small stuff, I am thinking that blogs can begin to be something much more different and practical as a platform to think about the information space around us and how we personally use it or can proactively be changed by it – without actually trying to generate new content or even writing to be read. 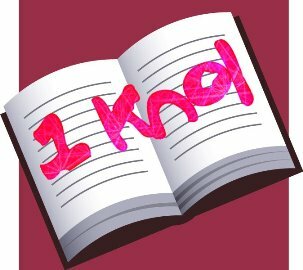 If KNOL comes from KNOWLEDGE then the important part for me isn’t actually the KNOL anymore but the EDGE.